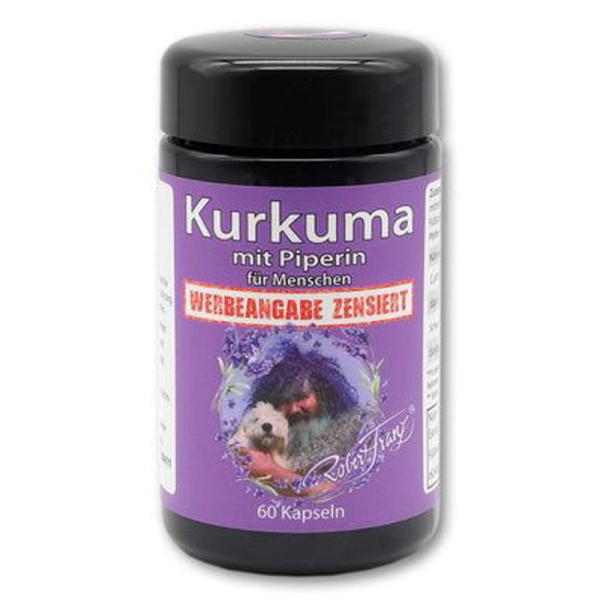 500mg curcuma per capsule and piperine from black pepper. Dietary supplement Curcuma with piperine from black pepper. In India the use of curcuma (curcuma longa, turmeric) is for 4000 years and belongs to the ginger family. It includes the so-called curcuminoids (arming and bitter). Turmeric was considered sacred and belonged at the time to the most important spices. In the traditional Indian healing art of Ayurveda it is expected to the "hot" spices a purifying and energizing effect is attributed to them. Piperine from black pepper enhances the availability of curcumin. Consume 1-2 capsules daily with water at a meal. Packaged in the original MIRON violet glass, the best packaging for high quality products! 500mg curcuma extract including 475mg of curcuminoid, 25mg black pepper extract including 23.7mg piperine. Curcuma longa extract with 95% curcuminoid, black pepper extract with 95% piperine, cellulose.